Inscribed Stock (IS) is a medium to long-term debt financing instrument issued by the Bank of PNG on behalf of the Government to raise funds for budget financing purposes. Its features are different to that of CBBs and Tbills. IS has longer-dated maturities/terms, usually more than 1 year, and earns a coupon interest semi-annually from the time of purchase. Current IS terms available include 3, 6, 11, 13 and 17 years. The Government has the discretion to set the amount to be issued/sold together with the terms. Investing in IS is currently restricted to Registered Bidders only. Both Financial and Non-financial institutions are eligible to invest in IS which is purchased through an auction conducted every 3rd Tuesday of each month from 9am -12pm, at the Bank of PNG, Port Moresby. 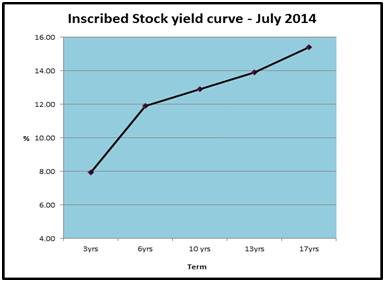 Investors outside of Port Moresby can also purchase or invest in Inscribed Stock. Rates or yields are determined by investors themselves through bidding.